I've been reading St. Augustine's Confessions since this summer (took it around Europe with me and everything! 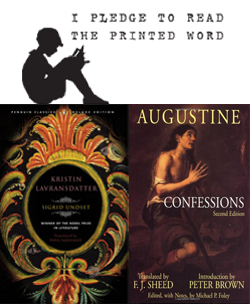 ), and we're now part of a Confessions reading group lead by our friend, mentor, sponsor and Augustine scholar. It is so amazing to have him guide us through the book, pointing out themes and giving us all kinds of background information and context. Not to mention the discussion that philosophy, english, and psychology grad students add to the experience. I do design. So I mostly just listen and ask the awkward questions. :) The book is FANTASTIC. Apparently, until the 1600s (thereabouts or after, I don't remember exactly) it was the #2 book read by all Christians everywhere, second only to the Bible itself. You should read it. There have been so many passages I've marked and highlighted that I can't even begin to quote them all. 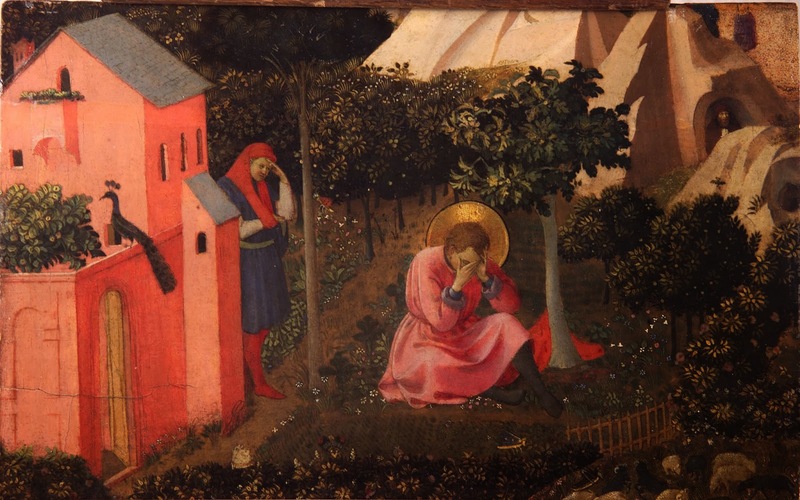 But, the other night at a dinner with friends where we've been going around sharing our own stories (or "testimonies," if you must), one friend shared his amazing journey from death to life, which sounded a lot like Augustine's own journey. It was a beautiful story of redemption where he went from drugs, alcohol and women, by the grace of God, to a sober and thriving life lived for Him. Next, another good friend shared her story, joking that she didn't want to follow him because her story was pretty boring. She grew up in a strong Christian home and never really "rebelled," etc. I was thinking "this is my story too, and it's not as "fun" to tell because it's more "boring." I had similar feelings during a church membership class when we lived in Charlotte where we had to present in front of a group. My testimony took about 5 minutes. What shall I render unto the Lord, that I can recall these things and yet not be afraid! I shall love Thee, Lord, and shall give thanks to Thee and confess Thy name, because Thou hast forgiven me such great sins and evil deeds. I know that it is only by Thy grace and mercy that Thou hast melted away the ice of my sins. And the evil I have not done, that also I know is by Thy grace: for what might I not have done, seeing that I loved evil solely because it was evil? I confess that Thou hast forgiven all alike—the sins I committed of my own motion, the sins I would have committed but for Thy grace. Would any man, considering his own weakness, dare to attribute his chastity or his innocence to his own powers and so love Thee less—as if he did not need the same mercy as those who return to Thee after sin? If any man has heard Thy voice and followed it and done none of the things he finds me here recording and confessing, still he must not scorn me: for I am healed by the same doctor who preserved him from falling into sickness, or at least into such grievous sickness. But let him love Thee even more: seeing me rescued out of such sickness of sin, and himself saved from falling into such sickness of sin, by the one same Saviour. AMEN! My life story may seem "boring" by the world's standards but Praise the Lord for that, because it is all by His grace and I am so thankful. Absolutely! By the grace of God!